Designed for high-intensity workouts, with superior comfort, stability, power and lateral support. 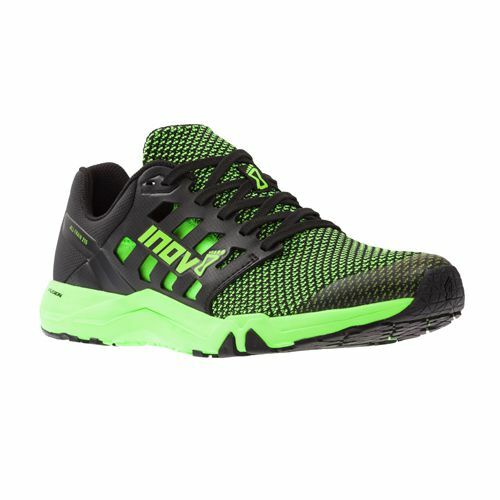 Perfect for weightlifting, forefoot strikers and wider feet. The Knit features a new knitted upper for a more natural, ergonomic fit. 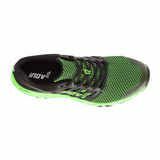 The Inov-8 All Train 215 Knit is boasts a new knitted upper for a more natural, ergonomic fit. This trainer is designed for HIIT, circuit training, strength training, boxing and other high-intensity workouts. With superior comfort, stability, power and lateral support, you'll soon be completing your longest and fastest workouts. Featuring the Inov-8 Standard Fit and a wider toe box that allows your toes to splay naturally, these trainers are perfect for weightlifting, forefoot strikers and wider feet. KNITTED UPPR: With a new, highly-breathable knitted upper fabric, the All Train 215 Knit delivers the best comfortable, lightweight fit possible. LIGHT WEIGHT: The All Train 215 is named after its light weight: 215 grams. Picking up the All Train 215, you'll immediately notice how light the shoe feels in your hands. 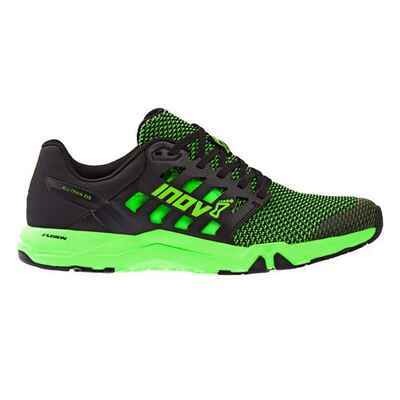 Like any Inov-8 shoe, it's minimally designed to create the lightest, most durable shoe achievable. ALL-TRAIN TRACTION: When you’re training, you’re not going moving forward. 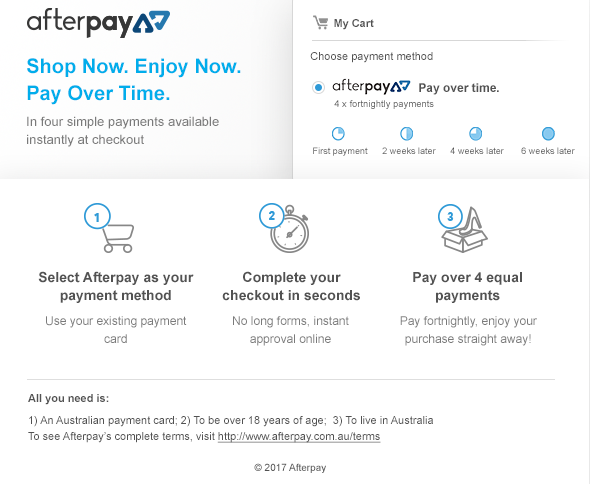 You're switching from side to side, turning on a dime, or juking. The geometric design of the All Train 215's claw-shaped cleats provides traction and grip for movement in any direction. 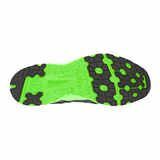 PATENTED OUTSOLE: Inov-8’s patented sticky rubber compounds are strategically placed in high-impact areas for secure foot placement in any agility workout. META FLEX: The groove designed into the All Train 215's outsole creates a natural flexion point at the forefoot. This design allows for efficient, natural and explosive movement as you push off your midfoot. ADAPTERFIT: When you slip on the All Train 215, the ADAPTERFIT Met-cradle and the gusseted elastic/mesh liner will lock down your midfoot for lateral movement support. The laces attach to this system and adjust at each eyelet to provide a snug, customised fit. COMFORT & SUPPORT: The All Train 215 has two arrows and an 8mm heel-to-toe drop. This gives you comfort and Achilles tendon support during intense high-impact workouts, or for when you incorporate running into your routine. FUSHION MIDSOLE: The fushion compound in the midsole is an Inov-8 material that provides a unique combination of cushioning and power. 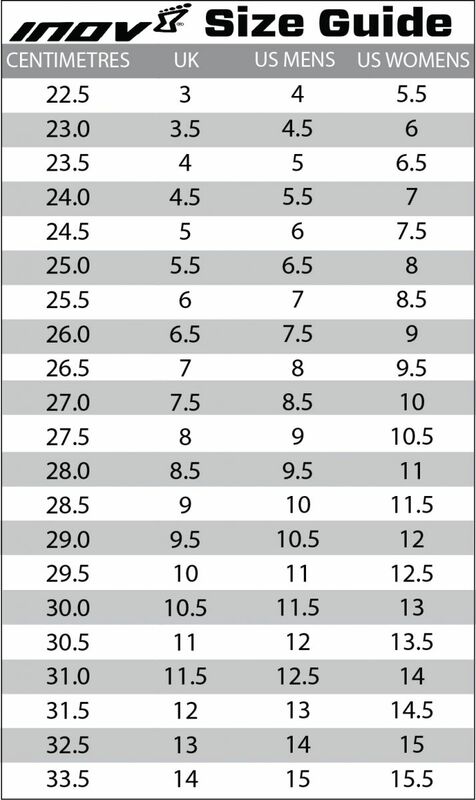 This will keep you comfortable in your longest endurance workouts and lend you power during your strength training. EXTERNAL HEEL CAGE: The External Heel Cage Y-Heel lock in the rear of the upper of the shoe uses lightweight TPU technology and geometric shapes designed to stabilise you when strength training or performing lifts. 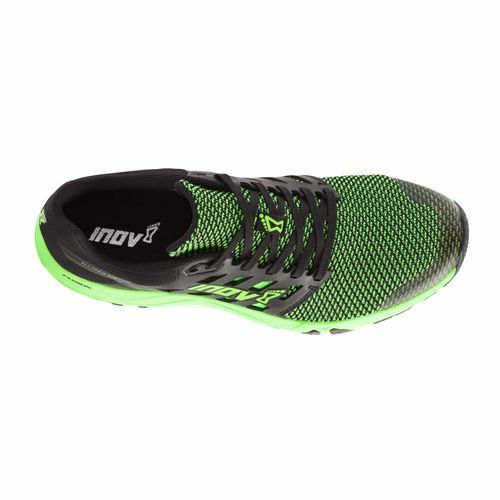 The lightweight, grippy and supportive Inov-8 All Train 215 Knit will keep you pushing the boundaries during your high-intensity workouts. 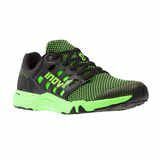 Please note: Inov-8 shoes without Rope-Tec should not be used to climb ropes.